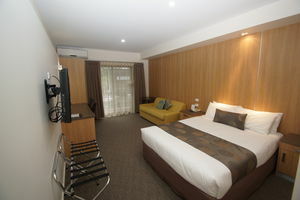 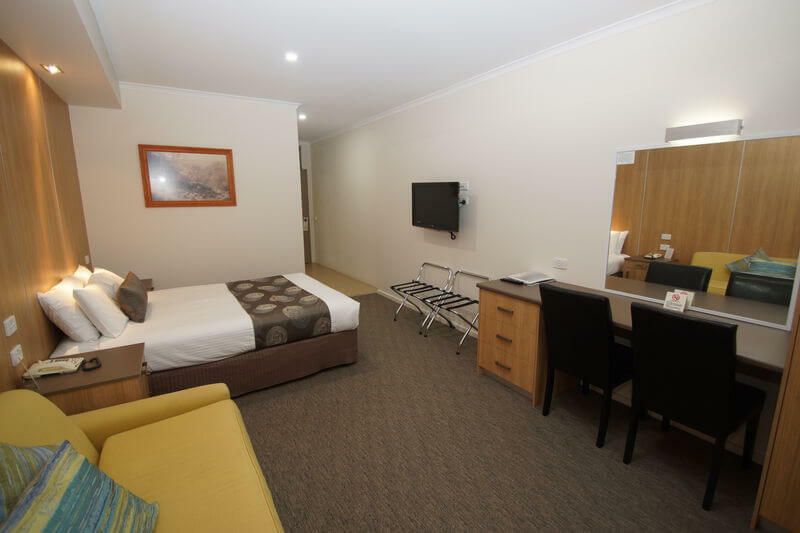 Large comfortable refurbished room with Queen Bed, sofa, table & chairs. 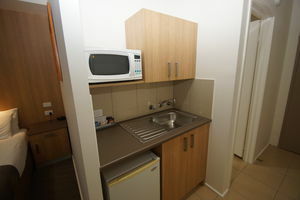 Small kitchenette with crockery, cutlery, fridge, microwave, toaster, kettle and complementary tea & coffee. 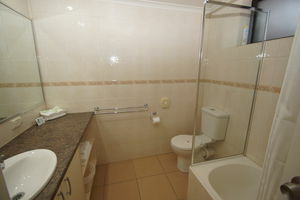 Ensuite with shower over bath and complementary toiletries. Balcony faces front street and has table and chairs.